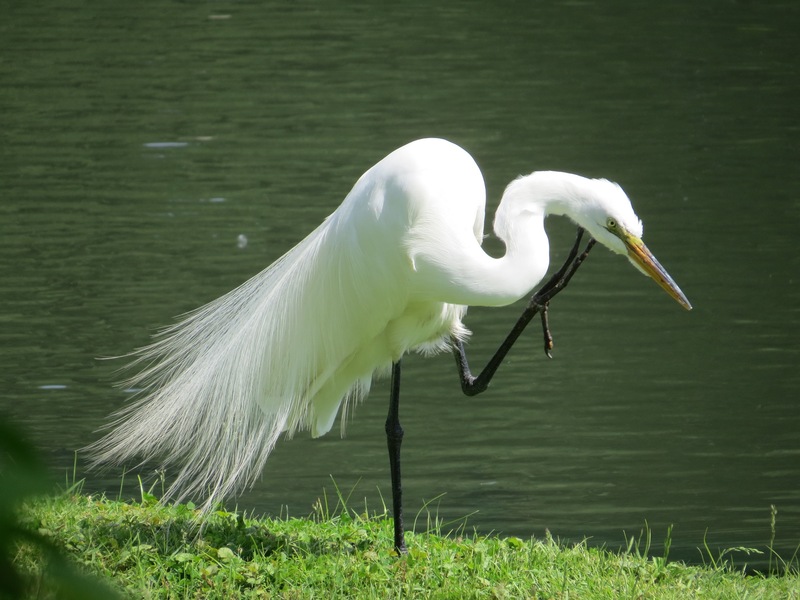 Ardea alba, the Great Egret. These long breeding plumes, known as aigrettes, were one prized by the fashion industry. (An industry as ugly in the 1890s as it is now.) 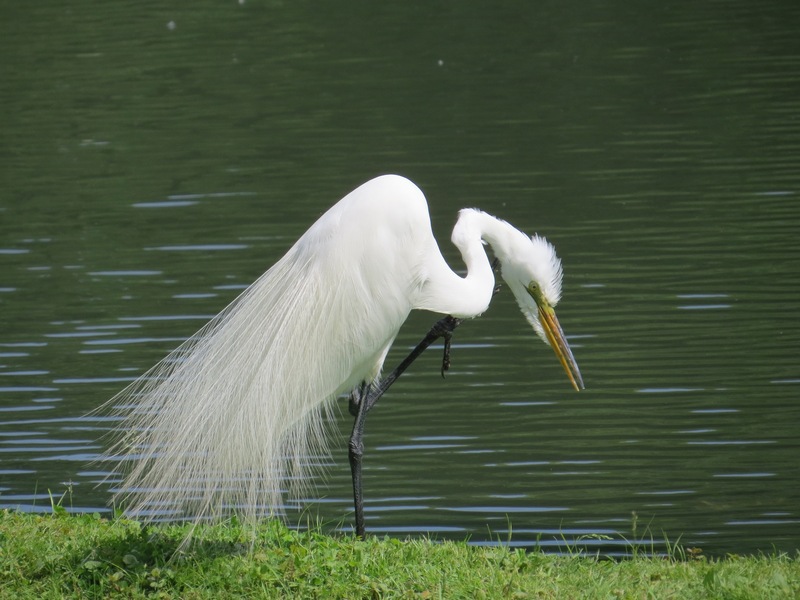 Great Egrets were slaughtered wantonly for their feathers; since these feathers are breeding plumage, the birds would be shot during breeding season, condemning the next generation in egg or nest to death, too. Thanks to the Migratory Bird Treaty Act of a century ago, such exterminationist frenzy was largely halted. But as you probably know, the grifters in charge in DC are bent on undermining this excellent law. What unadulterated fuckers, and the ‘holes and dupes who voted for ’em, too. On this hot day, the bird was gular fluttering to stay cool in between bouts of intensive grooming. This is basically an avian version of panting. 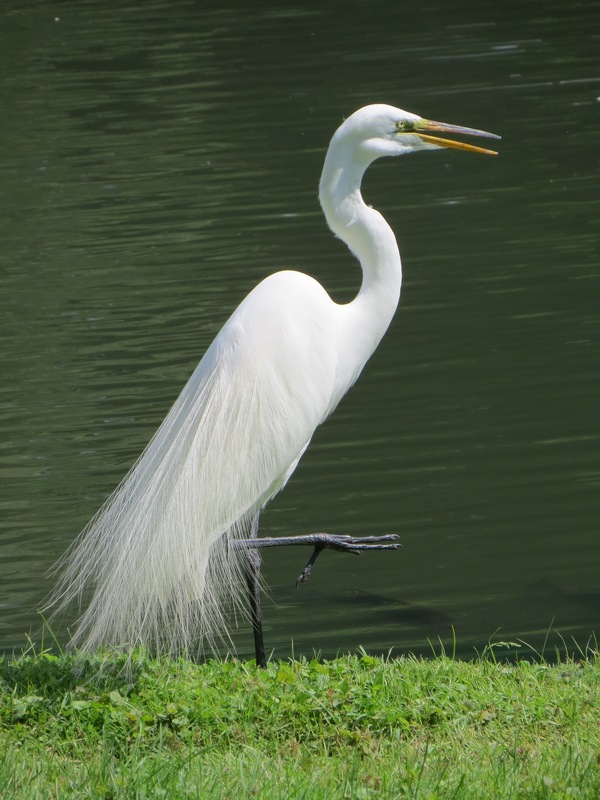 Opening its mouth, the bird flutters its upper throat muscles to promote heat loss. Lots of exhortations to vote out there. Please do, and work to get everyone you know to vote. But that’s not the only thing. Tremendous forces funded by billionaires have long been at work to dilute the vote. More Americans voted for Clinton than Trump, more Americans vote for Democratic candidates than Republicans, but gerrymandering and the archaic slave-owners’ constitution result in rule by a minority-appeal party. But there’s something more. Non-violent direction action is finally ramping up as a tactic of the resistance. Not everyone is capable of direct action, of course, and that’s no shame, but everyone is capable of solidarity with it. While there are many kinds of resistance, this is the most necessary. This is what has moved America historically and will do so again. The #WomenDisobey actions yesterday in Washington were a beacon in the darkness.